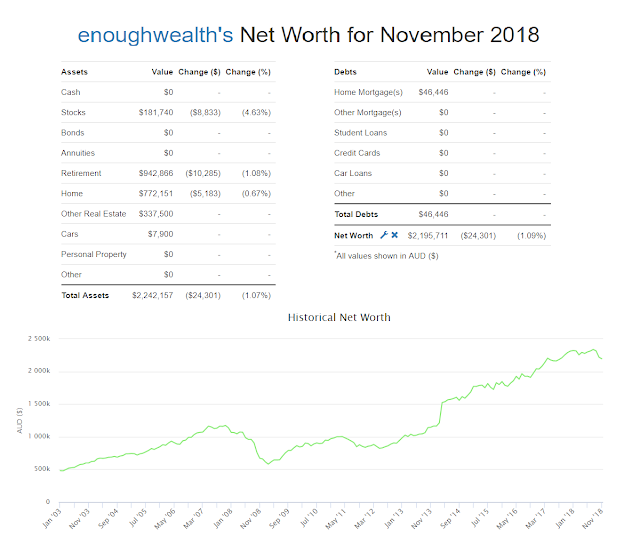 Another negative month, with my geared share portfolio and retirement savings balances each dropping by about $10K, and our house price estimate declining by about $10K (so my share dropped about $5K). The global (and local) stock markets recovered a bit yesterday (due to the 'ceasefire' in the US-China trade 'war'). Whether the 'correction' is over is anyone's guess. Hopefully the markets will have decent performance over the next 5-10 years until I 'retire' (the past ten years haven't been too flash). 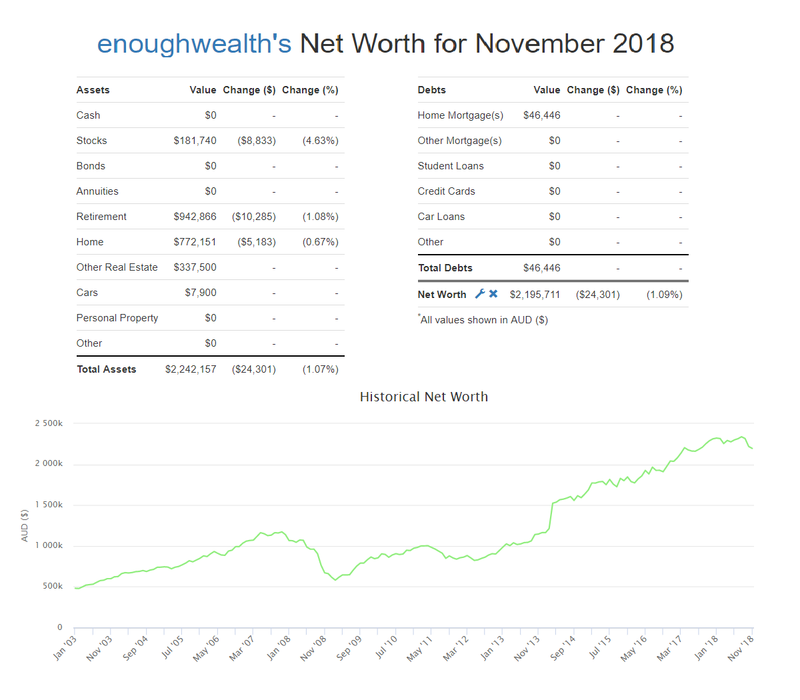 The Sydney housing market looks likely to continue to decline for another 12-18 months, so that won't be helping my net worth figures during 2019.